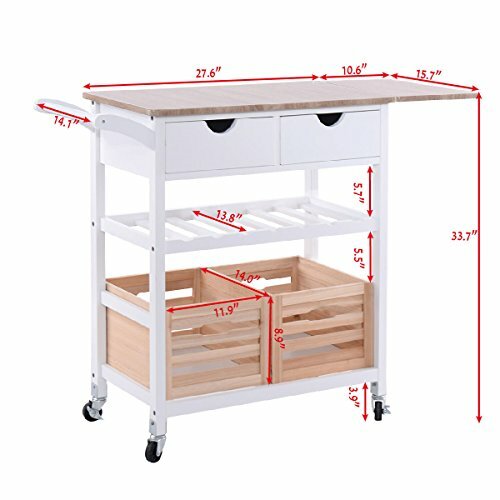 View More In Kitchen Islands & Carts. 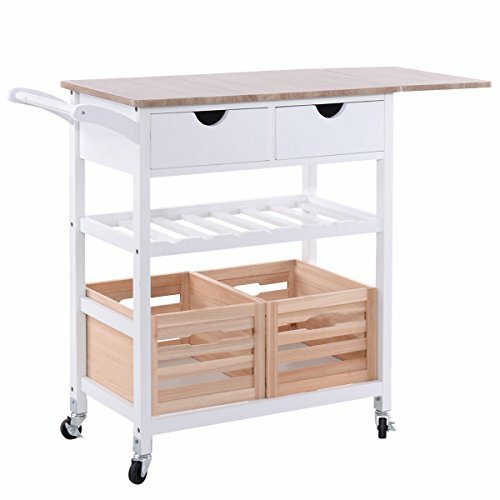 Description: Expand your kitchen storage possibilities with Costzon kitchen trolley! It features a sleek and functional top that makes it a great surface for a variety of kitchen tasks. The wide top has the weight capacity of 55lbs which can be especially helpful when you prepare meals at serving space. Choose your ideal desk top length which can either be folded in 27.6" or extended to 38.2". It can be used as cutting board or place microwave.It is extraordinary convenient for you to roll the cart around or set it at proper corner. Two of the casters are lockage to keep it in place when you need to. 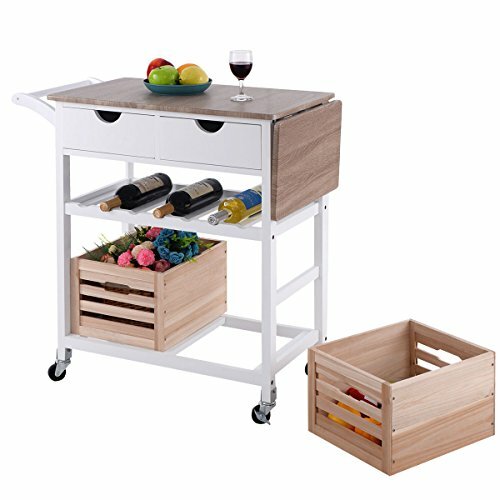 DURABILITY & SOLIDITY -Constructed by MDF board, this Costzon Kitchen Trolley features solidity and durability. The medium density fiberboard won't be affected with damp and won't deform like normal wood after years of using. 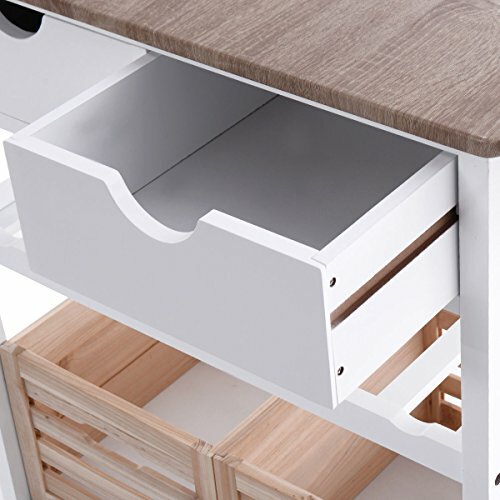 FLEXIBLE DESKTOP - Expand your kitchen storage possibilities. Choose your ideal desk top length which can either be folded in 27.6" or extended to 38.2". It can be used as cutting board or place microwave. 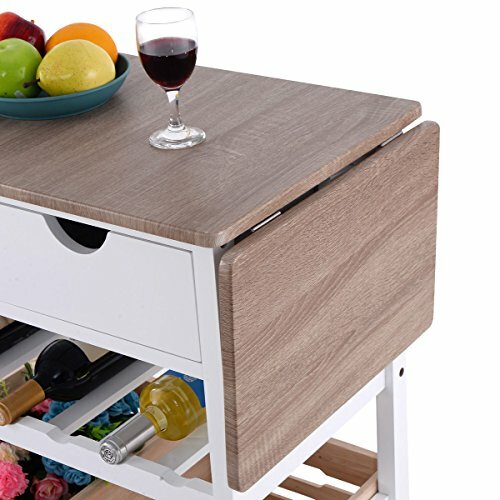 LARGE STORAGE SPACE - This kitchen cart contains 2 drawers for storing many pieces of odds; wine bottle storage unit that can hold up to 7 bottles; 2 wooden removable basket. 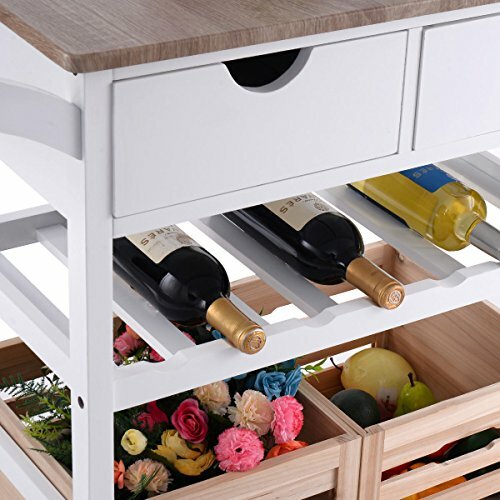 It will meet you different requirements to keep kitchen tools in order! 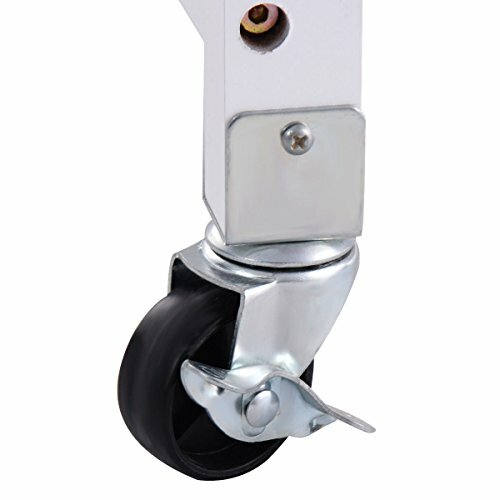 Four Steering Casters - It is extraordinary convenient for you to roll the cart around or set it at proper corner. Two of the casters are lockage to keep it in place when you need to. 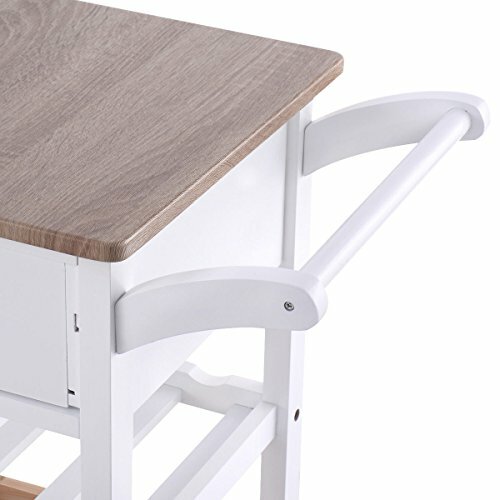 EASY TO ASSEMBLE - All the parts and hardware are included. An instruction is also included for easy installation.